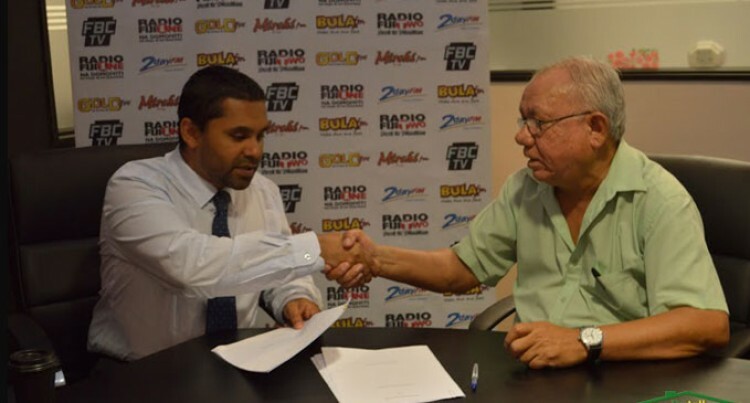 A long-time coming event is finally materialising after Fiji Broadcasting Corporation and property preservation specialist company, Du Aull Serices Fiji Limited signed an agreement early this week. The two organisations will host the FBC – Du Aull Western Expo, and event which local businesses can use as a platform to reach a larger spectrum of their customers. It will feature an array of entertainment, coupled with numerous sites and on-air events. FBC chief executive, Riyaz Sayed-Khaiyum, said the expo expected for November was happening after a 17-year lapse. “This is very exciting for Fiji Broadcasting Corporation…we are not only going back to the West and give something back to our listeners but really the West and people outside of Suva are generally ignored,” he said. Du Aull Services managing director, Spencer Ah Sam, said: “It’s an important partnership for Du Aull as we would like to provide a best Expo experience for Fiji. Du Aull will be using all-new equipment to cater for exhibitors and the public. FBC director Sales & Marketing, Jack Tedrick said they came up with a concept to deliver something for that everyone can look forward. The expo will be held at the Girmit Centre Lautoka from November 5 to November 8.